In this tutorial, we will present in some detail the function of the DxO Smart Lighting tool. We will give you some advice about taking pictures with a wide dynamic range, and then we will explain how use this tool to develop and optimize your image. 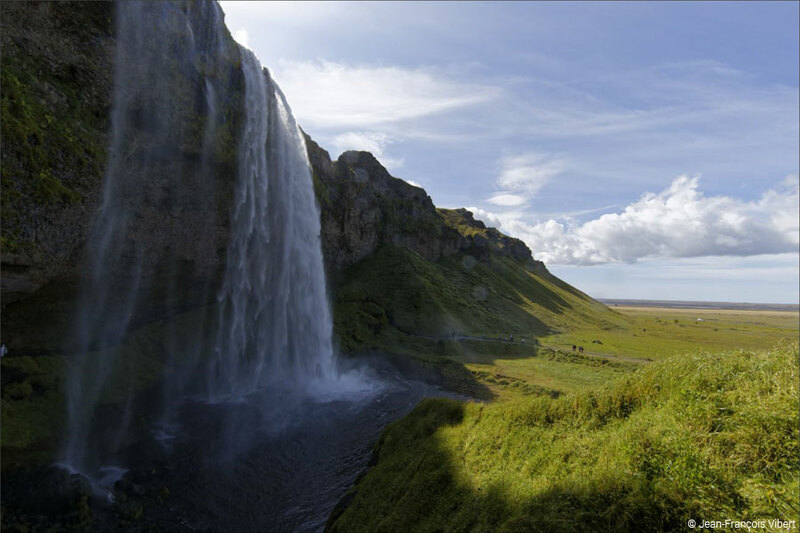 What is the dynamic range of a scene? 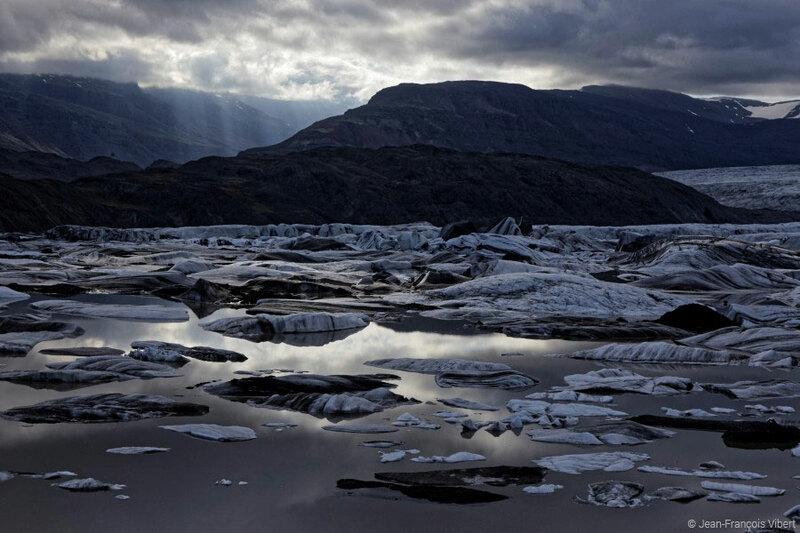 The dynamic range is the difference between the lightest and the darkest areas in the scene that you want to photograph. Digital sensors, even if they have made enormous progress (up to 14 EV for the for Nikon D810, for example), are still not capable of retranscribing all of the tones in the most dynamic scenes — for example, backlit scenes. You will need to choose a compromise between the exposure settings that will take into account your sensor’s capability and that of your post-processing software (which can help you optimize your results). When a scene exceeds the dynamic capacity of your camera, you will end up with “blocked” areas (too dark, loss of details) and/or “burnt” areas (too bright). You will need to make a careful choice in order to optimize your chances of obtaining a good result. In this case, it is advisable to favor the exposure of the darkest areas and to deal with the highlights during post-processing; in fact, digital sensors record more information in the bright areas, thus giving you some latitude for retrieving the information in these parts of the image. This only applies to images in RAW format: this type of correction cannot be properly performed on JPEG images. For this, you can either use the matrix (Nikon) or evaluative (Canon) measurement, then apply a compensation depending on the scene (to be determined by performing several tests), or you can use the spot-meter method by measuring on a neutral gray area in the scene. Manual mode is strongly recommended for shooting this type of shot. DxO Smart Lighting is an exclusive tool developed by DxO that analyzes an image so as to identify the darkest and the lightest areas, and to recover the information in the corresponding parts (as do Nikon’s D-Lighting and Sony’s DRO — Dynamic Range Optimizer, to a certain extent). With different levels of application (Slight, Medium, Strong) that let you control the intensity of the correction for a rendering that is more or less realistic, DxO Smart Lighting will be a great help to you when processing images with a strong dynamic range, taking into account the above-mentioned precautions. The Selective tone and Tone curve tools let you finely adjust the tones in the image so as to handle the highlights and lowlights; in practice, however, you will achieve a better rendering much more rapidly by using the DxO Smart Lighting tool. Unless you have changed the corrections in the application preferences, DxO OpticsPro 10 automatically applies the DxO Standard preset by default, which includes a set of corrections adapted to your image. The brightest and the darkest areas are particularly visible; you can also use the histogram to better perceive the extent of these areas. 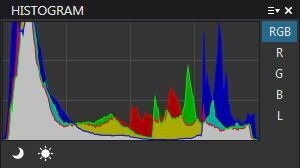 buttons under the histogram will help you see the blocked and burnt areas in the photos and will provide other relevant information. indicator next to the palette name attests. By default, the Slight mode is applied, but you have access to other modes by opening the drop-down menu. The Slight mode is applied by default in order to maximally preserve the effect sought when shooting and so as not to distort your image. The three modes — Slight, Medium and Strong — represent different levels of intensity when applying the tool’s corrections; the Custom mode is automatically selected once you change the Intensity by using the corresponding slider in the palette. Finally, the DxO OpticsPro 9 and DxO OpticsPro 7 modes are compatibility modes: if you have developed photos using these older versions of the software, when you open the photos in DxO OpticsPro 10, the software will automatically apply the compatible mode that corresponds to the previous version and that preserves the same setting level that you applied before. Depending on your photo, the DxO Smart Lighting Slight mode may not be sufficient, so do not hesitate to progressively increase the intensity by choosing other modes. As you can see, the darkest areas are gradually getting lighter. One of the effects of this tool can be a loss of contrast if the intensity is too strong with respect to the dynamic range of the image, so be careful to increase the value gradually. If appropriate, you can also correct the contrast by using the adjustment tools in the Contrast palette. You can also use the Intensity slider to go beyond the pre-defined settings or to choose an intermediate setting. The value of the Intensity slider is automatically modified when you change modes. You can start off from any of these modes and then manually move the slider until you achieve the desired result. DxO Smart Lighting’s intensity values (from 0 to 75) correspond to the extreme values of the algorithm. It may be that you will see little difference between the two values, which means that the algorithm’s analysis of your image reveals little need for correction. This said, you can nevertheless push the intensity value up to 100, which will let you go beyond what the tool is intended to do. This will have a strong impact on how your image is rendered, so you should use it with caution. Because of its photo analysis algorithm, the DxO Smart Lighting tool is ideal for batch-processing your photos. It is also systematically applied when you open a photo in DxO OpticsPro, since it is integrated into the DxO Standard preset. If you think it necessary to apply a different intensity level to your photos (i.e., Medium, Strong, or Custom), you can create a preset to apply that specific intensity level to all of the photos in your series. Using the first photo in a series, you can also Copy correction settings (via the context menu or by using the keyboard shortcut CTRL + SHIFT + C) and then select the set of photos in the filmstrip to apply those corrections by using Paste correction settings (via the context menu or using the keyboard shortcut CTRL + SHIFT + V). 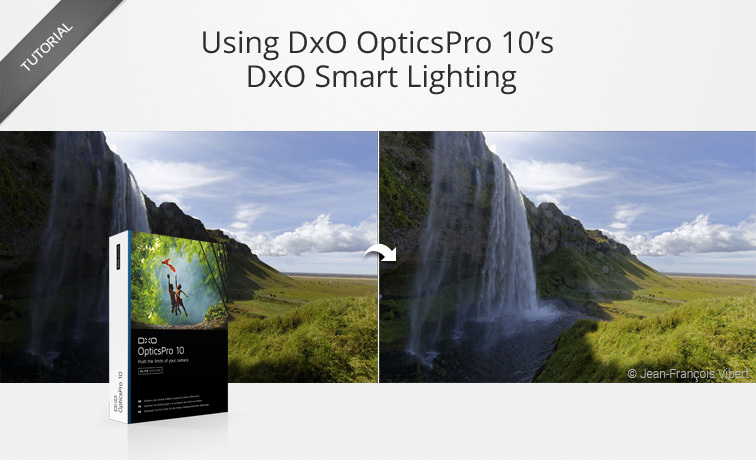 In previous versions of OpticsPro, the DxO Smart Lighting tool worked in conjunction with Exposure compensation; this is no longer the case with DxO OpticsPro 10, in which the DxO Smart Lighting algorithm has been redesigned; because of this, Exposure compensation is disabled by default. When a photo was originally developed in a previous version, regardless of the value of the intensity setting for the DxO Smart Lighting tool, DxO OpticsPro 10 will assign to it the corresponding compatible value. When you change the DxO Smart Lighting value in order to choose a v10 mode, the Smart exposure compensation systematically applies the value of 0 in order to keep you from deactivating this correction. Of course, you can also adjust the Exposure compensation afterwards to obtain the rendering you’re looking for.